I wanted to pick up a backpack purse for my trip to Seattle, and of course found so many in stores that I couldn't decide on just one. I recently picked up two (both under $30) and the picture doesn't even do them justice. They are gorgeous. 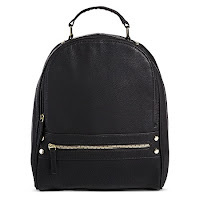 I decided to take this chic black backpack with gold zipper details on my trip to Seattle and couldn't be happier. I love backpack purses because even though it's a "backpack," (which hasn't always been the biggest fashion statement), you can find designs that match your style (like a purse), and have your hands free to shop, or grab a Starbucks (or cocktail) in the airport and still have plenty of room for all of your essentials. In this $29 black backpack, I had room for my iPad, a book, wallet, headphones, cell phone, small make-up bag and keys with a little more room to spare. I bought this to travel with, but now find myself taking it to work with me as my purse. 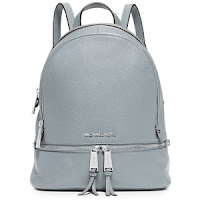 I plan on using this pretty Madison West metallic grey backpack in the near future. It's so beautiful pretty I'm afraid to set it down and get anything on it. I can't believe it was only $29.00. I picked this up at Marshalls. SCORE! I'm very happy with these two purchases, and am thrilled I could grab two trendy accessories for under $30 each. I need to add one of these to my closet! The gray one is so cute! 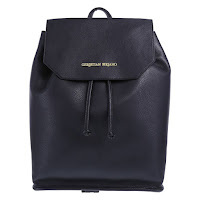 Oh that Michael Kors backpack is going on my Christmas wish list for sure. Love it.. I've had my eye on it :) Thank you! I carried a backpack purse for years when I had babies. I have been into really nice purses since. But in the last few months I have realized I want to go back! So much more convenient! Each of those pictured are beautiful too! Thank you. I agree. Sooo convenient. Love that Michael Kors one! I'm in the market for a similar backpack, but one I that is meant for cameras (with some cushioning to protect the camera and lens). Yes, the MK bag is gorgeous. Thanks for stopping by! 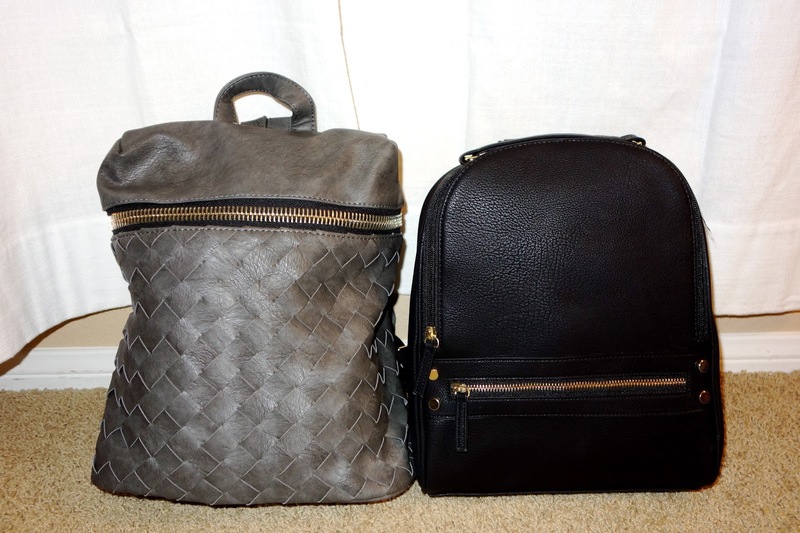 I love the backpack purse, these that you picked are perfect! They're so cute and useful too, my favorite! I love that MK backpack purse! Jennifer Aniston has a bag I really love that she is regularly seen with, even though it doesn't seem to be a backpack purse it looks like It should be, I've been trying to find one similar. Me to love the MK bag! Thank you! These are so cute. I was actually just looking for a travel backpack to upgrade my toddler needs as a diaper bag isn't necessary any more. Yes, really good idea. Thanks for stopping by.